As the weather grows progressively warmer, we are constantly on the look out for new sides to accompany our grilled entrees. Since I dread turning on the stove when it is 110 degrees outside, potato and macaroni salad aren’t always high on my list. Coleslaw is always a favorite here at Patty Cake’s Pantry, but we get bored eating the same salad. 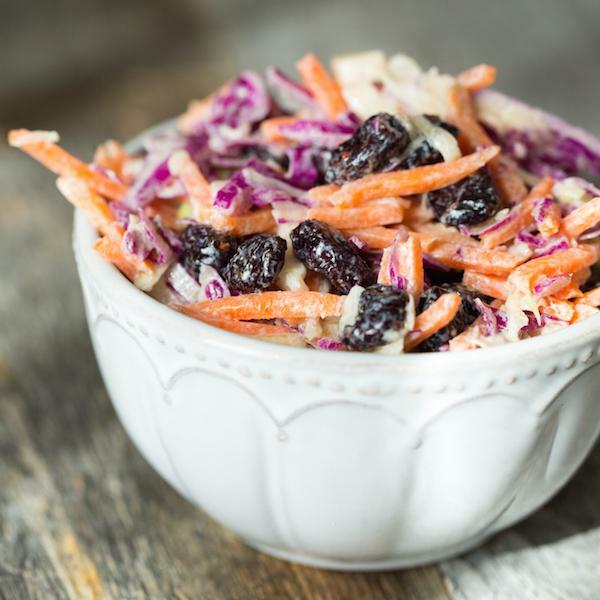 Over the past few months, as the weather has grown progressively warmer, I have been seeing more and more recipes for variations on traditional coleslaw popping up on other food blogs. I have collected a few of my favorites in this post. You’re going to love these. This recipe goes beyond what most people would call a “classic coleslaw.” The addition of bell pepper and parsley to this recipe really adds a new depth of flavor that most traditional coleslaw recipes lack. This recipe is as good as the creamy coleslaw that is found in authentic English fish and chips shops, but it’s Paleo, and the recipe includes a link to a recipe to make your own paleo mayonnaise. This recipe promised to be the best of all coleslaw recipes, and it did not disappoint. Unique because it contains no mayonnaise, the addition of lime juice, mint, and mandarin oranges makes it light and refreshing. 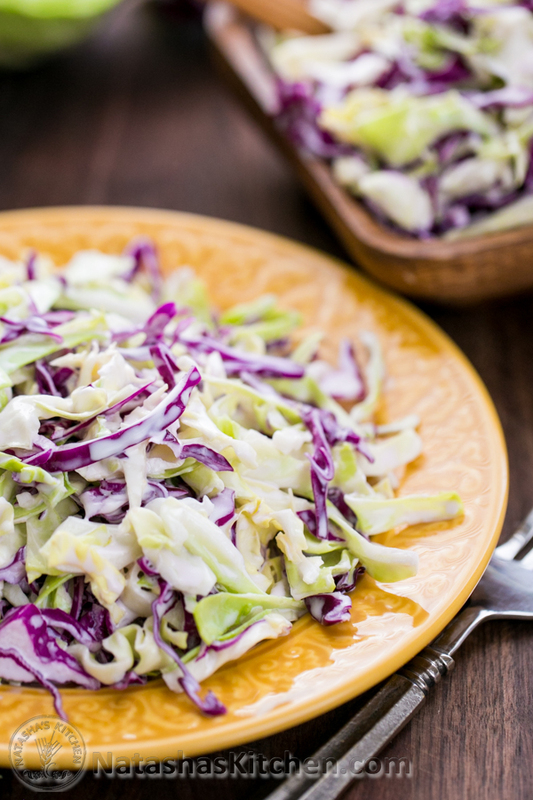 This coleslaw is an excellent choice on a hot summer day and pairs well with grilled meat like teriyaki chicken. 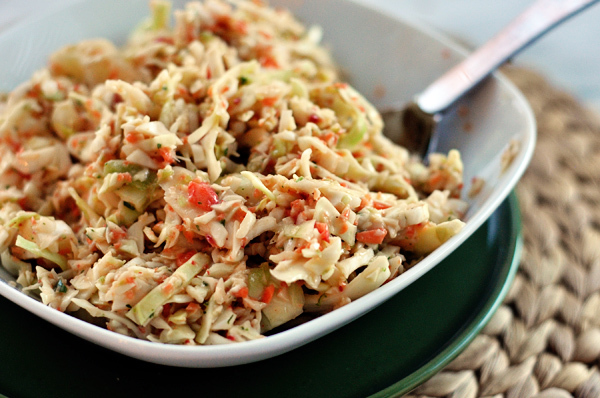 If you want a coleslaw with the taste of Hawaii, this recipe is the one you are looking for. 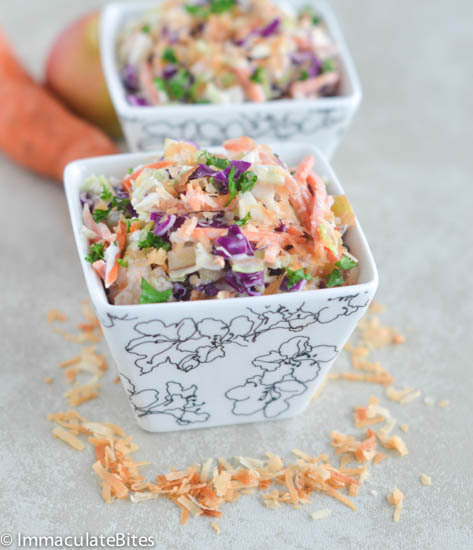 Inspired by Natasha’s family trip to Coconuts Fish Cafe on the island of Maui, this coleslaw won’t disappoint. This recipe was unique because of two ingredients that aren’t ordinarily seen in coleslaw recipes–balsamic vinegar and sweet relish. It’s another great side for grilled meat. Other recipes for coleslaw contain pineapple or coconut, but this recipe is unique. It also contains pieces of apples and the dressing is made from a combination of mayonnaise and Greek yogurt. 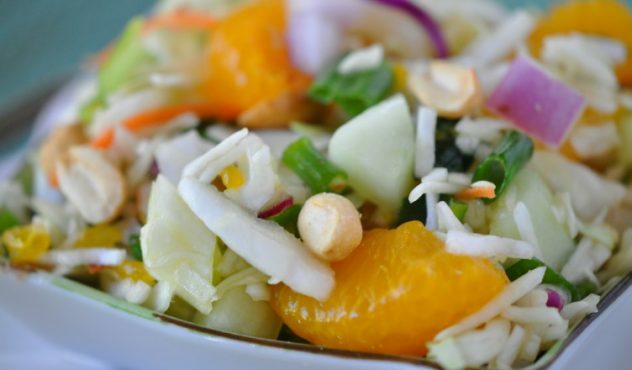 This coleslaw will transport you to the Caribbean. 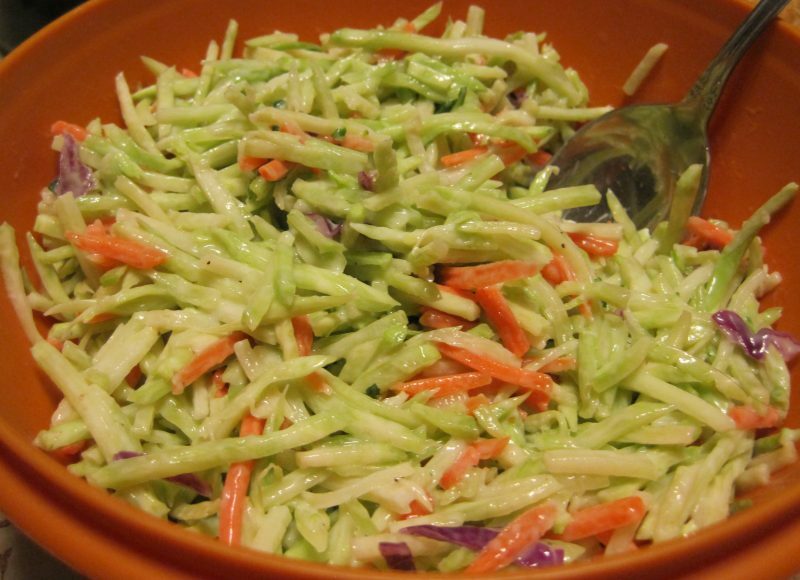 This recipe, is another Paleo friendly version of coleslaw. It includes only five ingredients and is very delicious as a side for grilled meat. The addition of dried cranberries really adds a touch of sweet and a hint of tartness that makes this recipe delicious. Nothing says summer like grilling, and nothing tastes better with grilled meat that cool, crisp coleslaw. Give any one of these recipes a try and you won’t be disappointed. 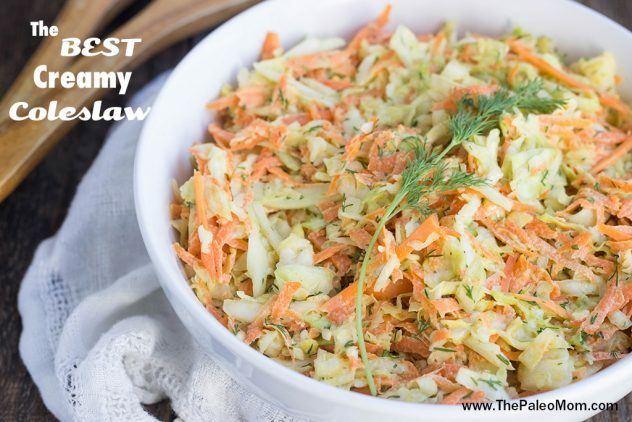 Don’t forget to check out my BST coleslaw, too. 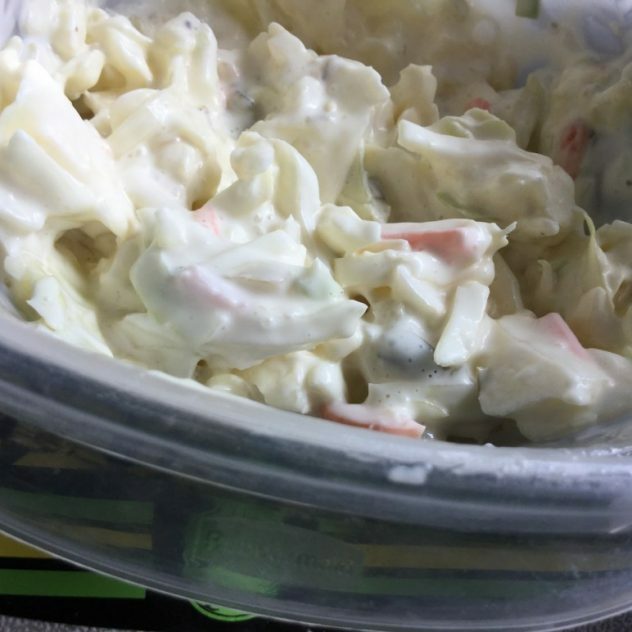 As Baker’s Man says, “It’s the best,” but in all fairness, he only says that because it’s called BST coleslaw, and he thinks that I left out the E. Truthfully, he’s really partial to quite a few of these other recipes, too. Do Food Bloggers Have Cats? Cool and crispy coleslaw variations. Thank you Patty. Just in time for fish n chips. (BTW: The cod and fries -chips-with coleslaw is delicious at Idle Spurs in Barstow.) However, now encouraged to prepare my own coconut slaw with any entree. Great ideas. I’m glad to be of service. I didn’t realize that Idle Spurs had Fish and Chips on their menu. I thought they were only a steak house. I will have to check it out sometime. Thanks for the tip.